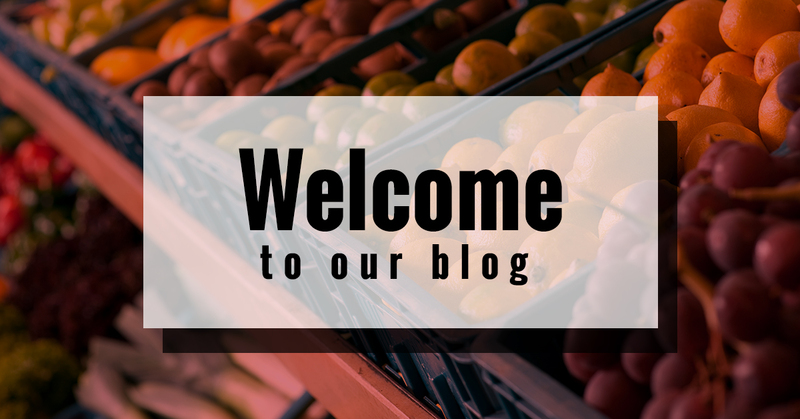 Fresh Market Palm Beach: Welcome! Welcome to our blog! We’re excited to see that you’re as passionate about food as we are. In our blog, we’ll be covering everything to do with our fresh market from special deals to ways you can prepare seafood and meats. We’ll also be covering our catering services as well as how you can get the most out of shopping with us. By reading our blog, we’ll help you develop a healthier relationship with food by exploring the benefits of shopping at a fresh market. If you love to eat and learn about food, then this is the blog for you. Started in 2005, our fresh market was developed by a Brooklyn man named Joseph Acierno. When he moved to Florida, he wanted to establish a speciality market that was inspired by Italian fresh foods. By creating a fresh market that was inspired by his Italian background and the community of Brooklyn, Joseph was able to share delicious dishes and fresh food with others who live in in the Palm Beach and Boca Raton areas. Joseph has brought delicious Italian based recipes, quality food, freshly baked pastries, and New York Pizza to the coast of Florida. As a specialty market, we’ve managed to bring you fresh meals for a price that stays in your budget. At Joseph’s Classic Market, we don’t just have some ingredients you can incorporate into a meal to make for your family. We also offer prepared meals, menus that are stuffed to the brim with deals, and catering services that will feed an intimate or a large party. When you become a preferred customer, you are also able to receive exclusive specials that will lower your grocery bill by filling your stomach with hearty meals. Our services are geared to make your life easier, packed with fresher food, and incorporate a passion for delicious dishes. Our catering service varies depending on what you’re looking for. We offer three different packages. We have The Classic Buffet, The Classic Deluxe Buffet, and The Classic Cold Buffet. Each of these packages will offer you a little something different. If you’re having a larger event, then it’s in your best interest to provide The Classic Deluxe Buffet for your guests. If you are having a more intimate gathering, then The Classic Cold Buffet is the route to go. Each of our packages will offer pasta, eggplant based dishes, entrees, and vegetables. However, if you go with The Classic Cold Buffet you’ll only receive cold cuts, cheeses, and few other cold essentials. Our catering is just as delicious as our other prepared foods and will be the talk of the party when you decide to take advantage of Joseph’s Classic Market. Our prepared foods section of our specialty market is brimming with delicious sandwiches, freshly baked breads, and pastries that will leave you feeling guilty for eating so many. Our menu is stocked with sandwiches such as Chicken Salad, The Classic Italian, The Buffalo Chicken, and Turkey Brie to name a few. We also offer prepared sides that you’ll enjoy and will keep you full for the rest of the day. Our specials consist of fantastic deals that are hard to beat. As a specialty market, we strive to keep our pricing within your budget. We want you to have fresh food and meats without needing to spend an arm and a leg to get them. This is where our specials come in. You can now plan around your meal planning to figure out what the best way to budget your grocery list is. Our specials vary from having our baked goods on sale to getting a deal on seafood. In addition, when you become a preferred customer, you’ll have even more access to specials. Now that you know what Joseph’s Classic Market consists of, come and visit us in either of our two locations.